Reading Time: 4 minutes VMware has just officially announced that their certifications will change the names with something different and no more related to the product version. New certification names will be identified by the year they are earned. Potentially this will make easier to immediately identify how current a certification is. 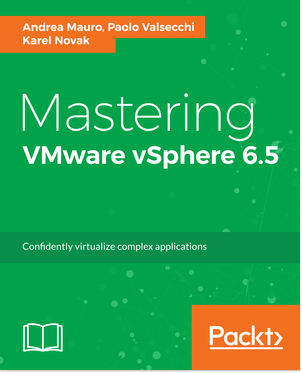 Reading Time: 1 minute The Mastering VMware vSphere 6.5 book is on the shelves from the end of December 2017 and it’s going quite good, considering that it was my book. 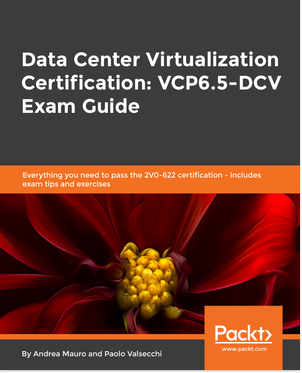 Now I can announce a new book project that it’s almost complete and in the final review stage: still based on vSphere 6.5, the book is focused on VCP6.5-DCV exam. Reading Time: 3 minutes The available VCDX defense dates (and locations) for 2014 are been recently announced on a thread in the VMware Community. Some were already well know (during the PEX event). The interesting aspect is that there are more locations (basically one per main Region) and that (actually) seems that there is no plan to bring the defence during the VMworld (not a new idea, but this time make sense, considering the better proposal of dates and places). Reading Time: 2 minutes A VCDX Bootcamp is a half day session (little less) that can really help you in the VCDX preparation, expecially to understand the entire VCDX process with more attention on the application and the defense part. In my opinion could be a must for each new VCDX (I wasn’t so lucky and I wasn’t able to attend it). There is also a book: VCDX Boot Camp: Preparing for the VCDX Panel Defense. But honestly be part at this live experience could be completly different. Reading Time: 5 minutes I’ve not found any available seats to take the VCAP5-DCA exam during the beta period, and actually I don’t need to take it for my VCDX5 upgrade. But I think that this is one of the best VMware exam and I really like it, so on Jan 10, 2013 I’ve found the opportunity and the time window to take the exam. 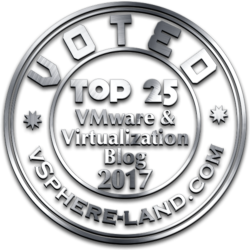 Reading Time: 1 minute The current version of the VCP5(-DV) certification blueprint has been changes in the last months. My study notes are still on version 1.2 of the blueprint, but there still valid also with the version 1.41; but now, starting from version 2.x there are some major changes.